I hope you all had a fantastic weekend! Lily has been feverish and not feeling well as it's going around and it seems her entire class is sick, so I've been getting my snuggle time in with her as she's usually too on-the-go to cuddle. As I do every month, I've put together my favorite pieces for this wintry time of year although I'll admit, I've craving the colors of spring evidenced by a few bold pieces I've included. Even though I live in the sunshine state, we still get our fair share of 'cold' weather and rain during the winter months. I love wearing cozy sweaters, layering up and finishing off my outfits with a soft scarf. Oh, and boots have been mandatory almost every day for the past few weeks! Winter with all of its layers always feels a bit more formal and polished which I really like, so many of the pieces I chose reflect that but I also love a relaxed feel too so I made sure to include those as well. Here are a few that I'm looking to add to my own wardrobe...The blue suede lace up flats shown above are one of my wish list items right now, they come in several different colors and are handmade in Italy in small batches (they also make a black leather version). I've had my eye on these gorgeous Tory Burch burgundy embellished pumps for months, and now they're half off! 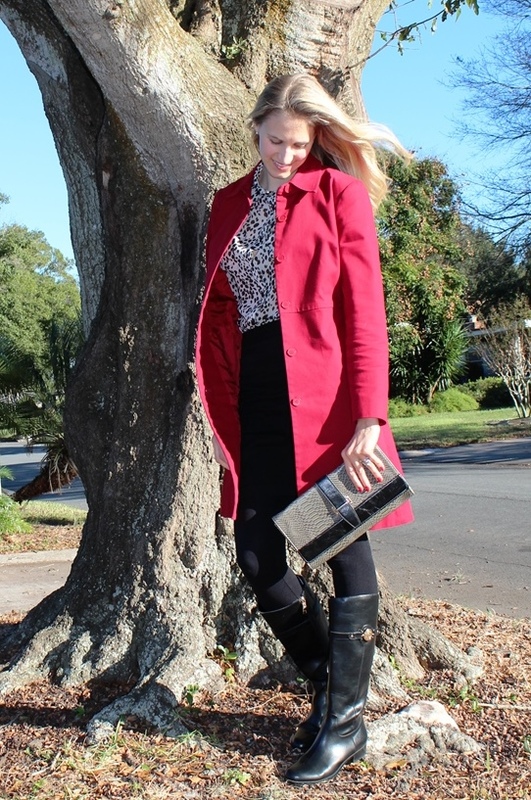 I own several blazers but a classic red is the next color that I'd love to add, this one is marked down by the way! The shape of this neutral handbag is so unique-perfect for year round! A few pieces of statement jewelry like these brooch floral earrings (50% off!) are a must. I'll admit this stunning bell-sleeve black lace top is completely out of my budget but a girl can dream, right? I'm hoping to find a similar look for less. As much as I love investing in quality handbags, I've always been drawn to the shape and simplicity of a great clutch day or night and this black faux croc version with gold hardware + strap is so pretty and oh so affordable too at under $50! Neutrals are essential to a well stocked wardrobe and this cowl neck sweater dress is perfect day or night worn with pumps or over-the-knee boots, it's a cozy addition to any closet. In case you missed any previous recent posts where I've shared the best end-of-season and winter sales/clearances taking place, I've rounded them up for you again below. There are some seriously amazing deals to be had right now. I've been stocking up over the past few weeks and taking advantage of the sales. ASOS: Final clearance up to 70% OFF, new styles just added. LOFT: 40% OFF new arrivals + 60% OFF all sale styles. MACY'S: Extra 25-40% OFF clearance. Total savings of 40-85% off select items. NEIMAN MARCUS: Up to 75% OFF when taking add'l 20% off already reduced items. NET-A-PORTER: Extra 20% OFF final clearance items labeled 'sale must have'. NEW YORK & CO: Everything on sale up to 50% OFF including new arrivals. TORY BURCH: Up to 60% OFF lots of sale styles of clothing, shoes, boots + accessories! What pieces are you living in for winter? If you love flipping through fashion magazines and seeing the hi/low outfit and beauty posts as much as I do, then this one's for you! 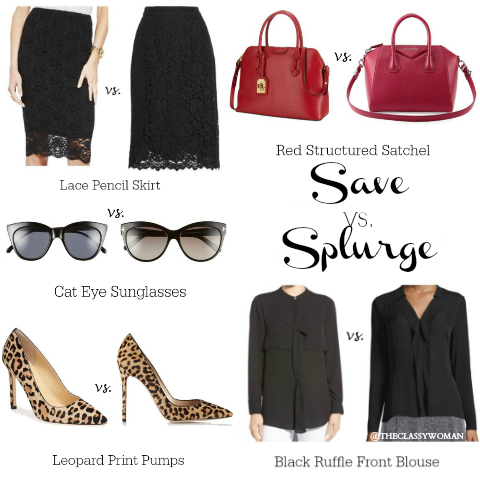 I've selected a few of my favorite classic styles for this classy outfit and am sharing both investment pieces as well as more budget-friendly options so that you can achieve this look for less. I've been meaning to start a series like this for a long time and this is the first of many to come! Since I'm an Interior Designer and spend my days hunting down for the perfect pieces for my clients, I'll be extending this to home decor inspiration also, so stay tuned for that! As you all know, I'm a big believer in investing in 'forever' pieces and building a closet that will be timeless. If you've followed along here for my outfit posts (or via Instagram), you know that many pieces I share are 5-10+ years old and still in great condition. That's the beauty of investing in well made classic styles, they never go out of fashion. However, there are times when we simply don't have the budget we wish we did or we realize that while we need a particular item in our wardrobe, that for us personally, it may not be a piece that will get worn as often so we opt for a lesser expensive option. I find myself doing that with scarves and hats the most lately and anything trendy that and I know may not be something I'll be wearing 3 years down the road. I sprinkle those gently throughout my closet to keep it fun and of-the-moment. There are some great end-of-season sales taking place right now and a ton on clearance for not only winter items but also spring! I've linked to them all below for you so you can add to your wardrobe as needed. BANANA REPUBLIC: Extra 50% OFF sale. LOFT: Buy one, get one 50% OFF on sweaters, tops and tees. The three things I always invest in are handbags, footwear I know I'll be wearing regularly and coats. What do you tend to splurge on the most? Hi Lovelies and welcome back to our Manners Monday series! 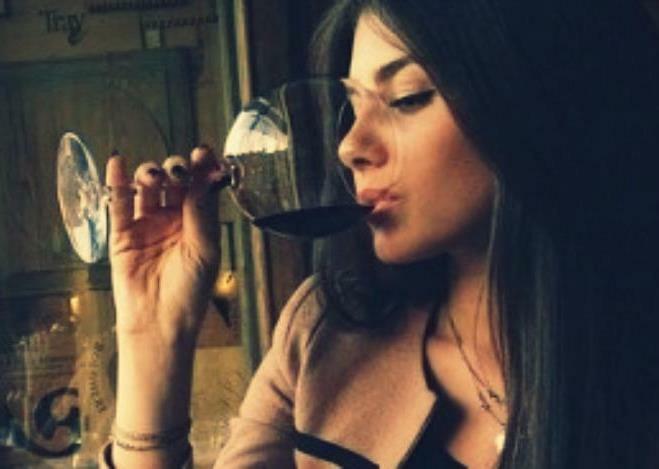 Let's begin by talking about wine, shall we? Every classy woman should have some knowledge of wine (as she should several other topics), and even if you never plan to drink a glass yourself for health, personal preference or religious reasons, it's important to know the basics as you entertain guests in your home, within a restaurant setting or simply to provide a gift for a friend. At the end of the post I'll be sharing some wine resources so you can read more at your leisure. This book (was recently named a NY Times Best Seller) has become my new favorite! I received a copy in the fall to preview and I love how it's laid out in a unique way that is both easy and fun to flip though, I highly recommend it, and it also makes for a great housewarming gift! For those who regularly drink wine and even enjoy heading to the vineyards for wine tastings, you likely have a good handle on the different notes and undertones with a keen sense for what pairs well with various entrees. However if wine is not your preferred drink of choice or you simply do not drink it often (or at all) and find yourself entertaining at a restaurant, you may be wondering how to go about it doing so, since this is one of your responsibilities as the host. If you are confident in doing this, always select a wine you like within your price range. If you feel a bit uncomfortable making the selection, you may ask your dinner guests for their preference or the server for suggestions on the best dry white wine or the most popular Cabernet Savignon for example, as they will know their wine list well. Take a peek at the restaurant menu and try to order with their specialty in mind such as steakhouse, seafood restaurant, Italian eatery, etc. As a rule of thumb, red wine is the preferred choice to accompany heavier entrees such as red meat, or pasta with tomato sauce. White wines are best selected for poultry, fish, seafood, pasta with light sauces as well as salad dishes. 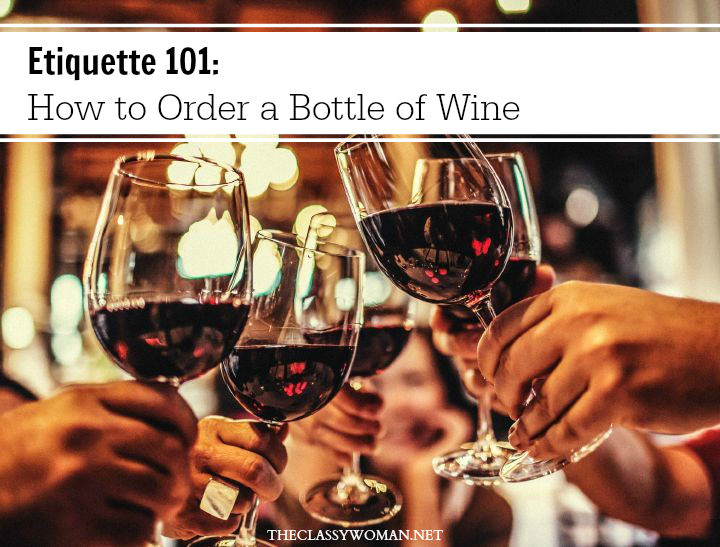 However, this is not a hard and fast rule, at the end of the day as the hostess you can order any wine you please. Do bear in mind though that fruitier wines such as Moscato, Reisling or Zinfandel can be enjoyed anytime however, these and sweet dessert wines are often best enjoyed after the meal in lieu of an actual dessert or to accompany it. When celebrating, champagne is always appropriate both before or after a meal, that is up to yourself and those who have chosen to accompany you. It's important to grasp some basic wine terms and types ahead of time to identify a dry white wine from its light and fruity cousin for example. I highly recommend brushing up with a great book on wine or this Beginner's Guide to Wine Basics on the Wine Folly website which is free and has a plethora of great information. If the wine list feels quite extensive and you're having trouble deciding on your own, once you've decided upon red or white, start narrowing down what you aren't interested in. Eliminate the ones that are beyond your budget (it's a good idea to go in with a rough budget such as $25 for example, it may be increased by ten dollars but at least you'll have a guideline), also nix the ones that you've tried before. It's nice to experience something different with guests and a great wine can be quite memorable whether you're celebrating a birthday with friends or entertaining business clients, especially when it's a good one. If you're opting to have the server share his recommendations, the best suggestion is to not ask what they recommend. Narrow the wine list down to about 3 choices then instead ask what they can tell you about the wine. At this point they'll either go into further detail or may need to bring someone else over with more extensive knowledge of the list. I've found that body language never lies, listen to what they share but watch how excited they get about each one and you'll know which one to choose. The same holds true for food items on the menu too! After ordering, your server will present you with the bottle showing you the label to ensure it is in fact the correct vintage and specific wine you ordered. They will then open it at the table and present the cork to ensure it's not too dry (something that has now become rare at this time unless you're ordering an older vintage) as we are experiencing a cork shortage, most new "cork" is man-made from other materials which do not allow one to see the level of dryness. Next, the server will pour a small amount of wine into your glass for tasting where you'll perform a quick taste test and upon your approval, the server will fill yours as well as all other glasses at the table. White wine is always left tableside in a chiller while red wine is left at room temperature on the table. You may choose to wait for the server to refill glasses or you may take that duty upon yourself. When pouring from a bottle of wine, always be sure to turn the bottle slightly upward upon finishing, to prevent drips that may stain. Sur La Table is offering an extra 20% OFF Clearance right now (which is currently up to 75% OFF) + Up to 55% OFF Sale items (ends Sunday). Now is a great time to stock up on wine essentials for your next dinner party, or any supplies you need for your kitchen and entertaining! It's no secret that I love a good blazer, if I lived in a cooler and drier climate as I did back home in Toronto or in California, this would be my almost daily uniform. I have a growing collection of them, so you'll see more blazers in future posts! 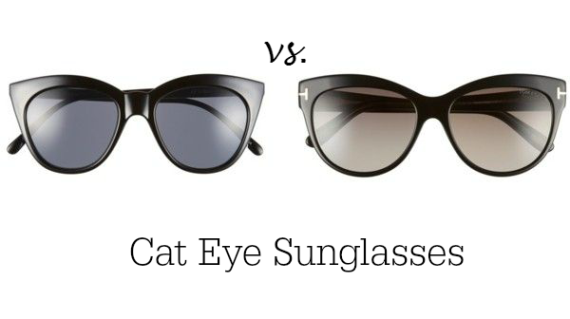 In my opinion they are the perfect way to add a polished, pulled-together look to any outfit along with an appropriate pair of shoes or boots. The right blazer can be dressed up with a killer pair of pumps, black pants/black denim and a bold lip or made more casual with ballet flats or in my case above, a comfy pair of riding boots. Because there are so many colors, patterns and fabrics available, the options are truly endless. Also, let's not forget about the practical side of their warmth in the cooler months when layering is key. I've owned this plaid tweed blazer for a decade and it never fails to give a causal outfit a bit more sophistication. It adds to a more Equestrian-inspired look. Next up I'm looking for another tweed jacket with the classic elbow patches. As I've mentioned before in this post titled: 10 Jacket Every Classy Woman Should Own, coats + jackets are truly a worthy investment that you'll have for years to come! I recently shared this quote on our Facebook community page recently talking about the importance of dressing how we want to be addressed along with my thoughts on the idea of wearing pajamas out in public. It created some lively discussion. ;) I'm a busy work-from- home mom like many of you, so I get it. I truly do understand how chaotic things can get in the mornings, as we recently enrolled our daughter in school back in October. However, as tempting as it may be to stay in yoga pants or lounge wear, out of respect for myself and others around me I always make an effort to be properly dressed for the day. Even if I'm just coming right back home to work on proposals for clients at my desk or running errands all day, I give myself 10-15 minutes to get dressed, freshen up with minimal makeup. Getting up 30 mins earlier than my daughter is a great way to have some time for myself and ensure I'm ready to begin my day. I've found that what works for me is to lay out everyone's clothing the night before (including my own) as well as pack lunch and her backpack so everything is ready to go in the morning. My daughter loves fruit and whole milk yogurt for breakfast, a smoothie or cereal, so it's pretty easy and filling for her without much preparation. I save elaborate breakfasts for the weekends. I dislike the feeling of being rushed in the morning and spending unnecessary time rummaging through my closet trying to figure out what to wear. However, on the mornings where my little one happens to sleep a bit later than usual or I'm running behind myself, this is my go-to kind of outfit. I think it's essential to have a few outfits like this in the back of our mind for rushed days so we can get out the door with minimal effort while still looking put together. I've owned these skinny jeans for about 4 years now and they are still in stock here, however you wouldn't recognize them new! I've worn them into the ground a little, they were originally a very dark wash but they come in other rinses too. ;) They have a nice stretch to them so they're really comfy and especially during the first few months when I was pregnant with Lily as well as after her birth, they were a favorite go-to pair. You've seen these riding boots before (last seen here), they are Tommy Hilfiger from last year. Every time the temps drop below 65 degrees, I pull them out (and also when it rains, which lately has been quite often). Since we don't get much in the way of cool weather, I try to wear all of my boots as much as I can during this short "winter" window of time. I'm a big believer in building a classic, timeless wardrobe, and part of that is stocking up on basics. In the coming weeks I'm going to put a post together on all of them shortly, but in the meantime, I'll mention that buying black and white short sleeved as well as long sleeved tees are definite staples, and 3/4 length are great options too. 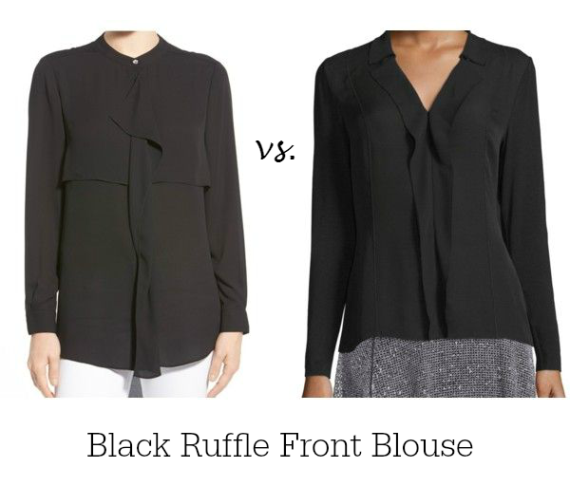 I find crew neck to be the most versatile, however, v-necks to be the most universally flattering. 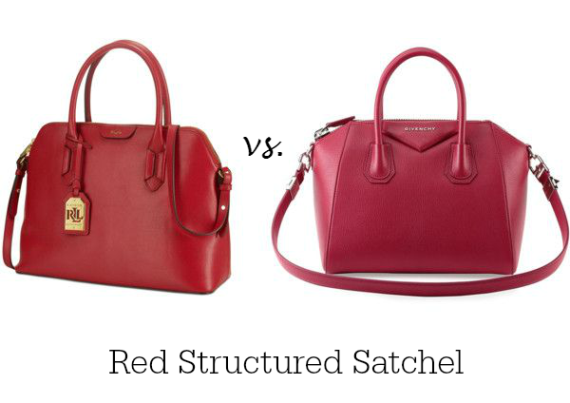 I own both colors in the lengths and necklines mentioned. They're perfect for wearing alone with jeans, under a jacket, cape or cardigan or as an extra layer of warmth under a slightly itchy or see-through sweater. When it comes to accessories, belts are essential, and what belt wardrobe would be complete without a leopard print belt? 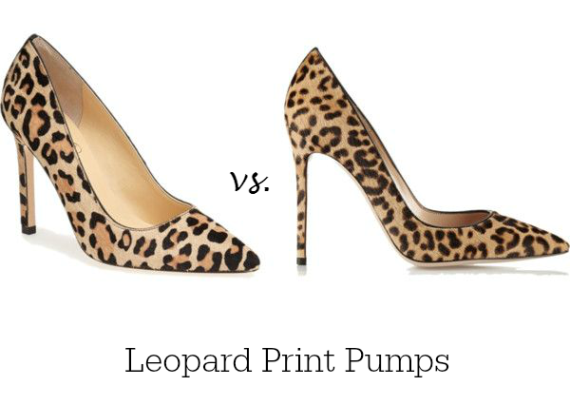 I actually own a few different widths, colors and styles in the leopard print. I love this one, it's very affordable and I wear it often. It looks cute paired with matching leopard print pointy toe flats also! These photos were shot on an overcast-turned-sunny day last week, what I wasn't expecting though was for it to be so windy, which is very unusual here in Orlando, hence why I'm holding my hair back in some of the pictures. After I removed the jacket and was getting ready to show some of my other favorite footwear options (mostly flats), when a huge gust of wind came and completely knocked my tripod and camera over onto the concrete! Thankfully my camera survived the fall however the lens, not so much. Anyway, I didn't get the chance to shoot the other looks, but I had these favorite black ballet flats on hand that day. They were a bit of an investment when I first purchased them a few years ago, however, whether I'm chasing my toddler around or wearing them out for brunch with girlfriends, they are always comfy and chic. Do you have a mom "uniform"? What is your go-to outfit on rushed days? If you liked today's classic style post, I'd love it if you'd share it or even pinned it to Pinterest for future reference. New Year's Goals...It's Now or Never! It's hard to believe that 7 years ago today I began writing this blog! If you're curious where I started, here is my very first post: How to be a Classy Lady. At that time, I had many ideas I wanted to share and a vision along with goals for the site but had no idea where blogging would eventually lead down the road. I'll admit that some years have been much more active than others, instead choosing to focus on my family and sweet baby girl (and sometimes a demanding design schedule). I have a feeling that this year will involve a lot of change but it is still my intention to maintain a regular blogging schedule. I like predictability in my own life and I know firsthand as reader of other blogs, I tend to follow those who maintain that consistency of about 3-5 times per week. It's is a goal I will be working towards this year-creating new content 5x per week, however it may take me several weeks to ramp up to that point. Looking back over all these years, I'm so happy to have met so many wonderful women from all over the world including other bloggers by starting my blog. I'm also very grateful for the opportunities I've had to partner with not only other bloggers, but to also work in collaboration with various brands, including some of my favorites such as Victoria's Secret and Macy's among many others this year. I've enjoyed creating new content here to inspire you with and I look forward to sharing fresh new content along with a blog makeover too. It's been a minute since I changed the look and feel of this site to what it currently is today and it's time again for something new. One of my goals is to make the site more organized and user-friendly by setting up various categories so you can easily find what you're looking for (bye bye post archive drop down!). Actually, some of my older posts are still my favorites to this day! direction that it's headed in and what you can expect. 1. Trust your Instincts- Over the course of the year I watched a pattern unfold (mainly in my personal life) but also in my business life. Most times I'm pretty decisive about what I want and have a good sense of the direction I want to head in but I began to notice how I would get a gut reaction that I should do something in particular but then other thoughts would creep in and take over and next thing I knew I was changing my plans along with my mind often leaving me with feelings of regret and frustration towards myself. In some ways it was FOMO (the fear of missing out), given a choice I wondered how the other path would lead and if I'd be missing out more if I chose one option over another. In the end, I realized time and time again that I wasn't listening to that specific inner voice and that gut feeling which is intended to be both a warning sign and also a guide to help, wasn't being properly utilized. In an effort to become more spontaneous (a goal I had last year) and go against the grain of who I truly am at heart (a planner, an organizer and someone who likes predictability, a clean/neat environment and as little unnecessary stress as possible), I found myself feeling a bit out of sorts and kind of all over the place without the specific focus that I once had. I realized that it's fine to try new things but ultimately we need to respect who we are, our gut never lies. 2. Peace is Everything- I've always valued peace and I love the stillness of being in nature. I enjoy solitude, quiet, rest and I especially thrive when I can work without distraction and interruption. I'm admittedly not great at multitasking. Once I get distracted, it's hard for me to revert back to what I was working on-I've noticed it over the years both at home as well as in an office environment. I admire those who can switch gears so effortlessly and remain laser focused. In trying to work among such distraction for the majority of the year as I attempted to focus on various projects while entertaining my little one and caring for her simultaneously, I realized I was getting frustrated and it was counterproductive. I was blessed to have two years at home with Lily but I realized if I was ever going to be productive and get things done, be focused and see the kind of success that I dream of, it couldn't take place during 45 minute naps and those few hours between her bedtime and mine. I ended up burning the candle at both ends and I was exhausted, unhappy and snippy at times, especially since a 3 of those months were when I was caring for her solo as my husband worked out of state. We researched daycare and school options and finally enrolled her full time in a local private Christian Academy very close to our home. Now we are all enjoying the structure that it has brought to our home, she is well loved and cared for there, it makes our time together as a family that much more precious and she is enjoying an active social life and is learning so much. As much as I wanted to have my sweet girl home with me as long as possible, I realized that the entrepreneur and creative girl inside me was starting to die inside. There is a level of peace (and quiet) that now exists that I haven't enjoyed in a long time, I felt disorganized before and now I can take a deep breath and focus. 3. Quality Sleep is Essential- You might remember how not too long ago I wrote a post on How to Get a Better Night's Sleep. I've always known this to be true, but sometimes I get a little off track. I believe this is one of the single most important factors to not only our success but our happiness in life. We weren't designed to function on 4-5 hours of sleep for an extended period of time. One of the things I learned the hard way is that even though you might have lofty dreams and feel like you can just work into the wee hours of the night and cheat time, you simply can't. Something always suffers in the end, usually our health. I had one large design project that I had to push through (thanks to a little help from caffeine which I normally don't drink much of) and once that was over I vowed to make some changes. I began napping when my daughter did-it felt like such a luxury! I started to go to bed earlier and found myself naturally waking earlier than she did instead of waking up to her crying. I stopped drinking caffeine, and instead had a serious talk with my husband about him spending more quality time with our daughter which would also help free up time when I could work during the day so I didn't have to cram it all into the wee hours of the evening. Now of course, we're on a new schedule and I do try my best to get 7-8 hours most days but realistically I get more like 6.5 hours and take little power naps whenever I can since I work from home. 4. Fear will Destroy You-As sad as this is to admit, I found myself letting fear take over in my life. This past year (and if I'm honest, the past few years), I've realized that I've let negative thoughts and fears take over to a point where I started to forget who I was as a confident woman who has already accomplished many great things. The future seemed a bit scary given certain factors and I really started to question myself in a few areas. Then, towards the end of the year, a few things happened that were completely out of my control. A few of them I tried to fight tooth and nail initially and then finally just said, "God, I'm not fighting this any more, whatever is going to happen is going to happen." It's amazing what can evolve when you release your grip of control-the fear subsides and things sort themselves out. A situation that I was both angry and frustrated about turned into a huge blessing in the end, to the point that I didn't want to go back to the old way. Even when my tripod and DSLR camera blew over in the wind and crashed onto the ground during a shoot not too long ago, I felt an unusual sense of peace come over me and somehow, even though I didn't have the budget to replace a broken camera lens right after Christmas (especially since we just invested quite a bit into various home updates and new appliances), I just knew it would all work out. Of course, it has and that last example finally showed me that I don't need to worry. God's got it under control. I am someone who likes to be in control but to be honest, it can be emotionally and mentally exhausting. It just feels right to do your best then let God and the universe take it from there an do the rest. I won't say I'm completely free from every fear but I feel like I'm in a much better place, content to be a participant in my own life but be okay with it unfolding as it will, knowing and expecting that there will always be hiccups and that's okay. 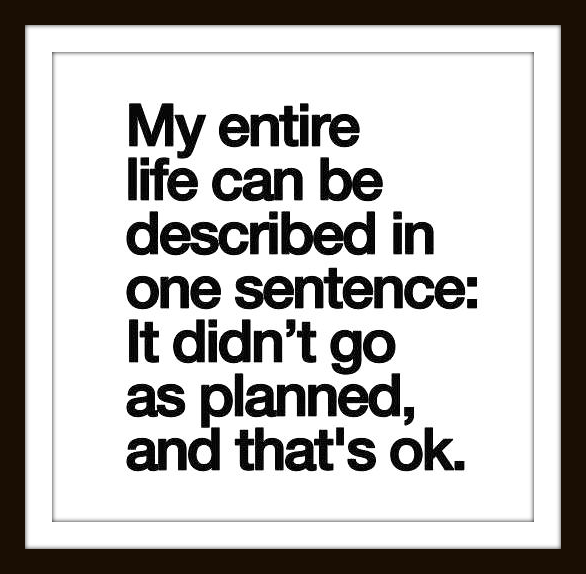 Sometimes those missteps and curve balls make for a better life story that we couldn't have planned ourselves. 5. 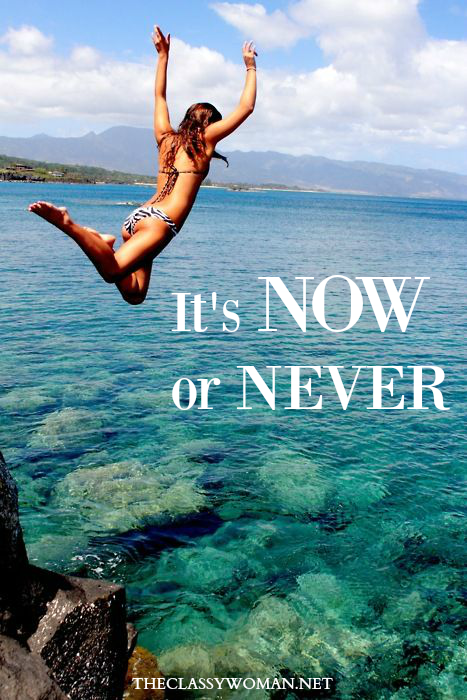 It's Now or Never! Over the years I've watched myself get excited around the first of the year as most of us do, go into the new year with the best intentions and then find myself frustrated and regretful in the final weeks of December at the time I wasted that could have been spent on my goals, and in the end not feeling very accomplished. I found an old binder that I had put together over a decade ago, filled with the goals I had at that time and some of them are still relevant today and things I still plan on doing. The only thing stopping me is my own dedication. As I turned another year older this past August, for the first time, I could really see a change in my skin. Lack of sleep, worry, motherhood and all that comes with it had aged me faster in the past year than in the last 5 (in my opinion anyway) and in looking back on my life, the last ten years seemed to just fly by. There comes a turning point in every person's life where they realize that they aren't going to be here forever-this was mine. While I'm here, I want to dream big, accomplish great things, inspire others, leave a legacy, be the best mother I can be to my sweet daughter and live without the regrets of never having gone after a dream. I've deemed this my 'now or never' year. I have a few things that are really important to me that I'll be working on this year (one is at the forefront of my mind and I'm excited to share more once it's complete). I'm still working out my game plan but I do know I can't let another year pass without getting it done. I'm blessed to work from home at the moment and have a more flexible schedule than I've had in a while, if I can't get it together now, I'm not sure if I ever will. The key is weeding out the distractions and focusing on only the necessary actions which will contribute to the overall goal. 1. Fashion & Beauty Posts- As I mentioned in this recent outfit of the day post, something I'm working on this year is putting myself out there by sharing my take on classy fashion. I'll be shooting some of my outfits and sharing the details with you both here as well as my social media channels (you can follow along on Instagram where many outfits and style ideas that don't make it to the blog are shared). After years of requests and receiving numerous questions about classy style, I've decided to share my love for classic style to inspire others to use the wardrobe they have to put together new looks. While I'm no beauty expert, I'm looking forward to sharing skincare, makeup and hair tips as well as best products with a focus on natural and organic options as that is what I use and swear by. 2. Blog Makeover- As I mentioned above, a redesign has been long overdue and I want to ensure the end result is a user-friendly and organized one where you can find content quickly. I hope to have it installed by springtime in the next few months, after working out the details with a website designer. While I love the soft palette of this blog, its look and feel will be quite different-think editorial. Based on what I'm naturally gravitating towards at this time along with the type of content readers request the most, I know it will be the best fit. 3. Post Consistency-I also shared earlier that I'm working towards a more predictable post schedule. Before the holidays I was focusing on Monday (for Manners + Etiquette posts), Wednesday (lifestyle post such as travel, home decor, etc. but this day is kind of a wild card) and Friday (we'll be focused specifically on Fashion + Beauty). I'm looking to move towards 5 days per week once I iron out a few details behind the scenes (such as sourcing a local photographer) so that I'll have the time to spend on writing content instead of learning the art of photography with a tripod + self timer along with the time consuming task of photo editing-those of you who edit photos know what I mean!). I do sense this will be a year of change, so one never knows how things will unfold (or if I'll even be living in the same country), however as of right now this is a goal I'm committed to. 4. Publish Videos- I started a YouTube channel a few years ago with the intention of creating videos but also to easily follow others there too. I enjoy watching relevant videos with great content and I hope to create the same for this community. I'll formally announce and begin sharing those clips once I've finished them. My goal is always to do things with excellence so I do want to ensure that even though video editing will be new to me, that I'm producing quality content with the tools I have. If you want to add me to your own account so you can see videos as they're published, I'm at @ClassyWomanTV. I hoping to create 1-2 videos per month to start. 5. Have More Fun- I feel kind of silly admitting this, but I know I could be having a lot more fun in my life both personally and professionally. Sometimes it's easy to get caught up in the mundane day-to-day tasks that leave us feeling depleted. I tend to be pretty analytical person by nature and I often thrive on having a routine vs. spontaneously doing something new every day of the week. I have realized though, that sometimes spontaneous moments really shake you up and take you outside of your comfort zone in a good way and can add so much joy to your life. Sometimes I get so caught up in doing things with excellence that when they don't appear perfect, I'll abandon an idea for fear that it won't reach my standards and live up to my expectations but let's face it, expectations are overrated. So, this year I want to have more fun and not take myself so seriously in all aspects and I hope that vibe translates to my content her too. Life is just too darn short to not be having fun! 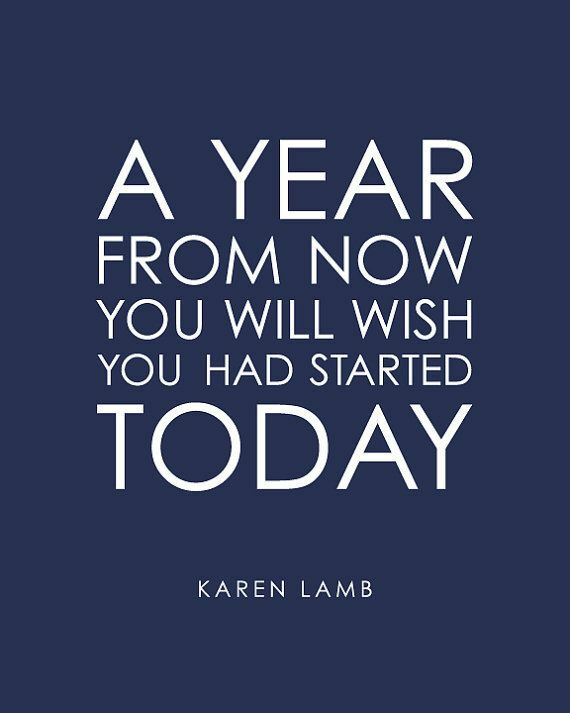 I'd love to know, what 2015 has taught you and if you have any special goals or resolutions for the New Year? As always, thank you for reading! Hello Lovelies! I hope you all had a fabulous time celebrating with family and friends during the holidays making special memories and that you are rested, rejuvenated and enjoying the start of 2016!! I wish for you all to experience the most beautiful, healthy, joyful, prosperous and memorable year yet! May you achieve all your dreams that you set out to conquer. I also wanted to take a moment to thank you all so much for your continued love, support and kind comments. I've met so many wonderful ladies while blogging and it means the world to me that you take time to read new posts and share your thoughts too. I appreciate you!! My first week of the new year has been filled with unexpected little twists and turns. My husband flew overseas to Thailand somewhat last minute nearly 2 weeks ago so I've been busy entertaining and caring for our little one but now she's back in school so I've been able to focus on work again. My plans to post on Monday were trumped by dealing with noisy squirrels in our attic (which have been keeping me up at night and waking me at 5am for weeks), followed by me breaking my favorite camera lens after an unfortunate tripod accident on an usually windy day. Thankfully, I was able to finally get it together today just in time for our Fashion Friday post-hooray for small miracles and a new lens that is on its way! I'm excited to begin something new here on the blog! This year is all about overcoming fears and taking more chances. For quite some time I've contemplated sharing outfit posts with you all to show you what I personally wear to various events and on a day-to-day basis. I've received numerous requests over the nearly 7 years that I've been blogging for more fashion-related posts as well as a ton of e-mails asking my advice on specific style-related dilemmas as it pertains to special events such as weddings, graduations or first dates, day-to-day wardrobe, casual yet polished weekend style inspiration, office attire and even how to dress classy as a new mom. This year I shared a couple of my own looks from some recent celebratory occasions such as a patriotic look for my U.S. Citizenship Ceremony and also Lily's Baby Dedication. I'll be honest, I've battled with myself a bit because there are so many young, stylish fashion bloggers sharing their own looks that I thought with my lack of photography skills (or a photographer right now, unless you count the self-timer setting + a tripod) and a rather modest wardrobe budget where I don't wear a new outfit every day, who is going to want to look at my outfits? If I'm honest with myself, I guess I felt a bit intimidated by the caliber of other, much younger fashion bloggers and I wasn't ready to put myself out there for all to see, however after thinking about it recently, I do know that there are many other women like myself who don't have a massive budget nor are looking to spend all of their money (or time) shopping, instead they're looking to work the closet they already own and build upon it by adding new and relevant accessories and clothing. In today's post I'm sharing what I wore earlier this week to a few client meetings. The weather has been a bit crazy here in Florida with temps in the high 80's one day and then dropping off into the 40's overnight which often follows with wind and rain, so I kept that in mind as I got dressed beginning with footwear. I love riding boots for a multiplicity of reasons, but one thing they really help with is keeping my feet warm and dry during the unpredictable fall and winter months. Riding boots can be worn so many different ways and classic black is my favorite because it can be worn with anything from pantyhose and tights to thick leggings or denim. I always look for special details on the side or back such as the gold detail here to add a little personality. Since the weather has been gloomy much of the week, I couldn't resist pulling out my red coat (which I've owned for over a decade already) to brighten up the day! It's the perfect weight to keep me warm and can be dressed up or down. Instead of a typical handbag or tote, I opted to pull out a clutch instead with accents of black and gray to play on the color scheme I already had going on. Your favorite clutches don't need to be reserved for fancy nights out or evenings only. I love this neutral look, it's less bulky and adds a sleekness to the overall outfit which can truly take it from day to night. As it was chilly that day, I wore thick opaque tights and paired them with a heavier weight black skirt. 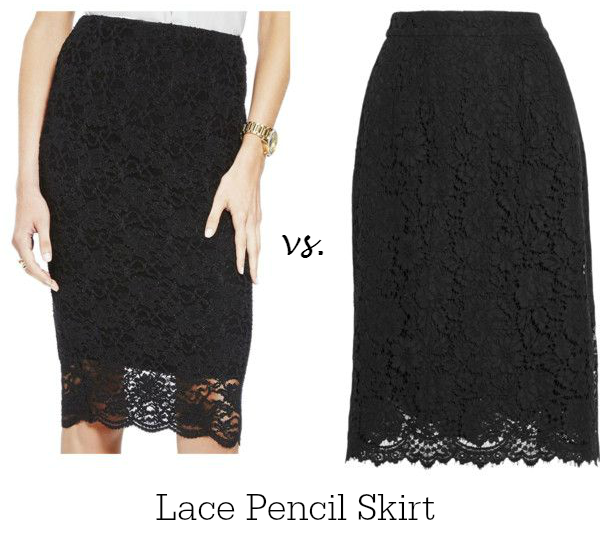 Please note that I typically wear skirts at or just above the knee, especially for work. This one happens to be slightly shorter as I'm tall, so the tights provide great coverage. This dot blouse that I purchased a few years ago is still one of my favorites because it isn't too loud, making it a great option to wear to the office and it's very versatile. I often wear it with red denim skinny jeans. Because of the pop of color and patterns, I kept my jewelry simple opting for pearl stud earrings along with a pearl bracelet. I couldn't resist adding a splash of color to my nails too so that once the coat came off, I still had a little color. 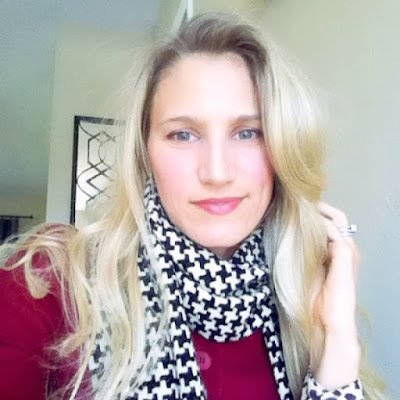 I originally started off with a black & ivory houndstooth scarf and at the time these photos were taken, it had warmed up to the point that I didn't need it and had forgotten it in the car. You can see a snap that I shared on instagram before heading out the door, below. *Please note I'll always link to my exact items whenever possible, for older/previous season or sold out items, I'll provide similar selections at varying price points. If you liked today's post, I'd love to hear from you! Of course, feel free to pin it as inspiration for later or share it with others! 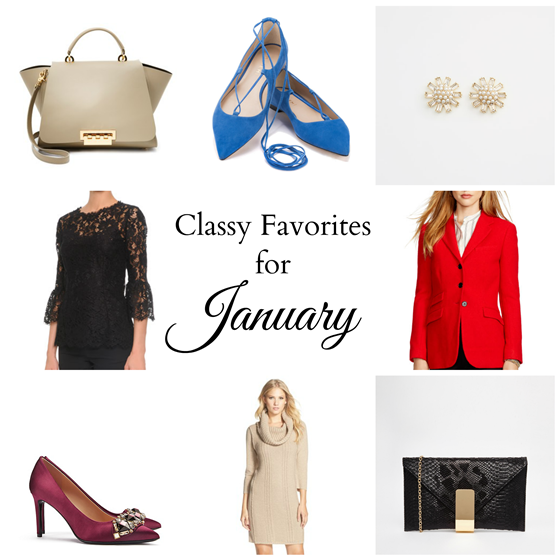 You can follow along via instagram @theclassywoman to see my fashion posts that don't make it to the blog. To get these posts looks an others via instagram that don't make it to the blog, by signing up here one time, you'll get all of the shopable details delivered straight to your inbox after 'liking' any like to know it post >>>> http://liketoknow.it/theclassywoman You can see examples below under 'shop the feed'. Do you wear a lot of color or pattern into the workplace? What are your favorite hues? I hope you have a wonderful weekend. Thanks for stopping by!